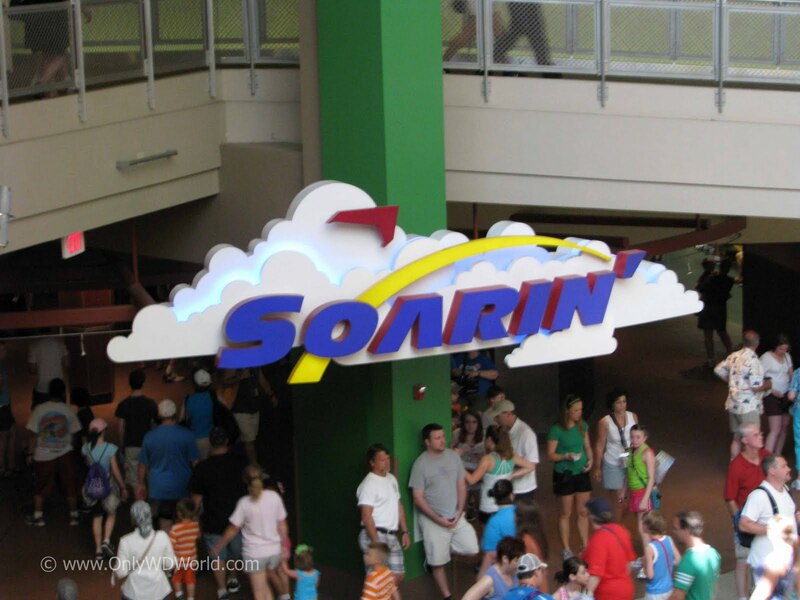 It is hard to find an attraction that appeals to all age groups, but Disney World certainly has a winner when it comes to Soarin' at Epcot. This hang gliding simulation provides gentle thrills that leave fans young and old walking away amazed and willing to wait in long lines to experience it again. The concept for Soarin' was dreamed up by Disney Imagineer Mark Sumner who created the prototype for the attraction with an erector set. 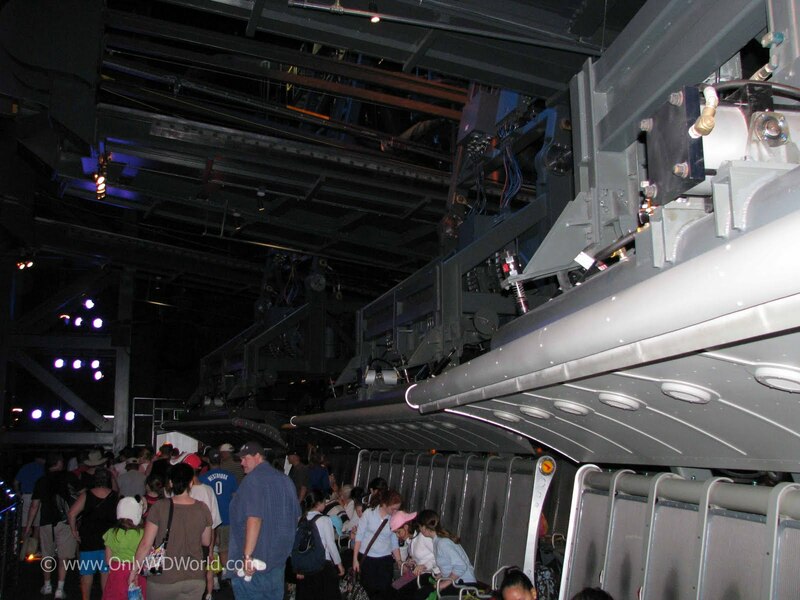 He was able to come up with a unique ride mechanism that ending up being very close to the final design for Soarin'. The concept was so novel that it was granted a U.S. Patent (#6,354,954) on March 12, 2002. 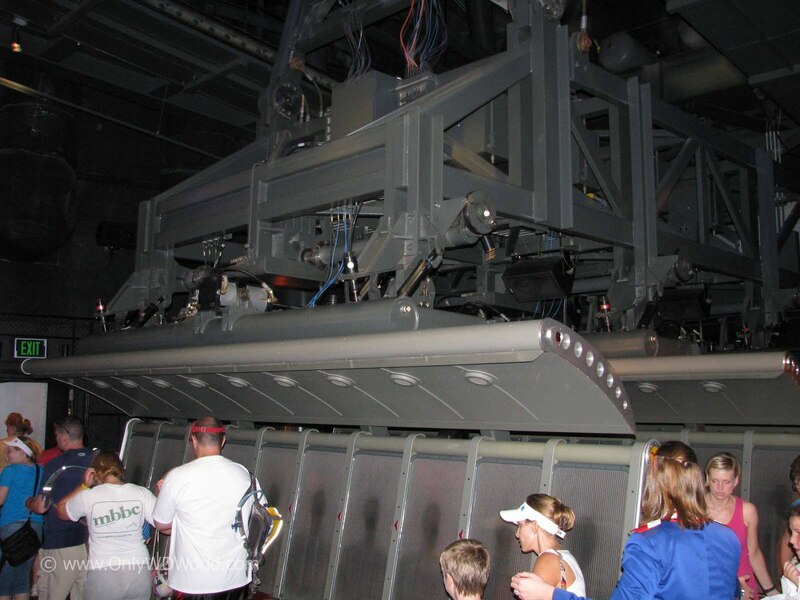 Walt Disney World Resort guests actually have Disney's California Adventure to thank as they debuted the attraction in 2001, and it's overwhelming success lead to the addition of the Epcot version to the Land Pavilion in 2005. The ride places park guests in 3 rows of "Hang Gliders" that are raised into position in front of a projection screen. The ride itself combines gentle movements in concert with the action on the screen to give the sensation of "gliding." To enhance the experience there are fans generating gentle breezes and scents of pine trees and orange groves when you pass those items as part of your journey. It would not be fair to call Soarin' a thrill ride per se, but the experience is extraordinary and one to be remembered. You are taken on a tour of California including such sights as: the Golden Gate Bridge, Yosemite National Park, Napa Valley, Lake Tahoe, PGA West Golf Course in La Quinta, Anza-Borrego Desert State Park, San Diego, Malibu, Los Angeles, and Disneyland. 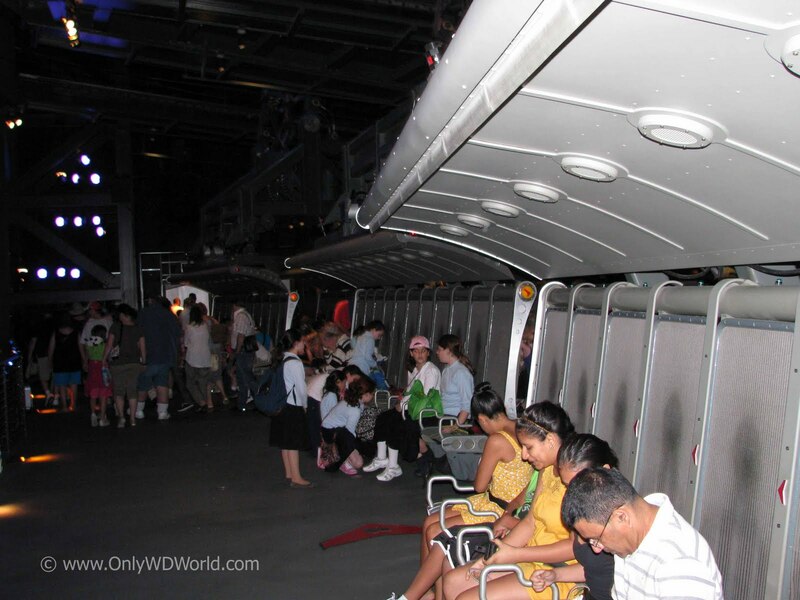 The downside of the immense popularity of Soarin' is the fact that everyone at Epcot wants to ride it! In order to avoid spending your vacation in long lines, you should definitely take advantage of the FREE Disney FastPass system. 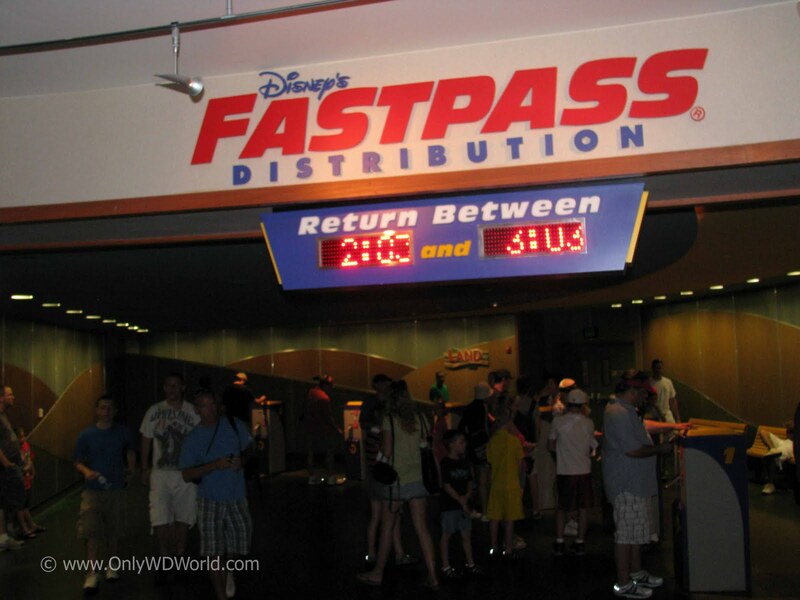 The FastPass system allows you to obtain a pass to return later in the day within a specified one hour time window and get in the much shorter FastPass line. Even if you are planning to get a FastPass you want to make sure that you obtain one early in the day, because they are routinely all distributed by early afternoon. 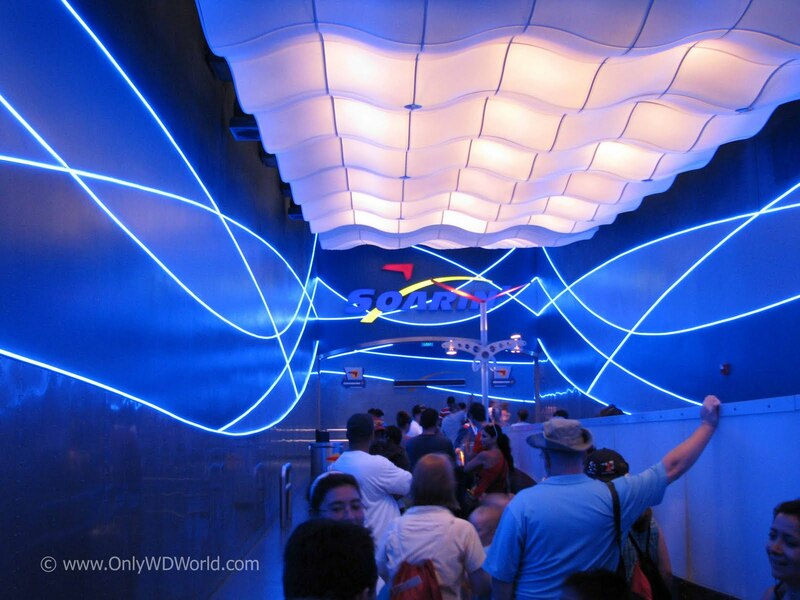 You are greeted by plenty of blue neon and polished metal surfaces as you enter the queue for Soarin'. The long corridor takes you from the center of the Land Pavilion to the pre-show area for Soarin'. 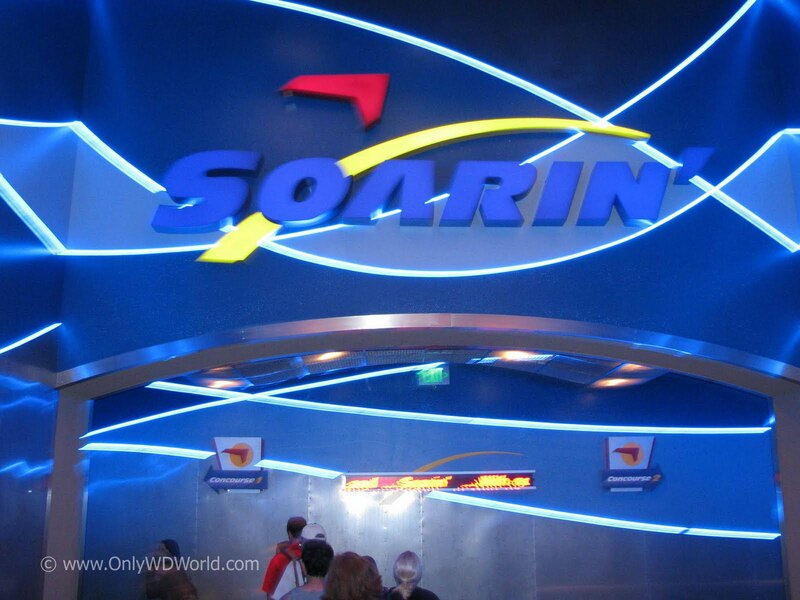 No visit to Epcot is complete without riding Soarin'. 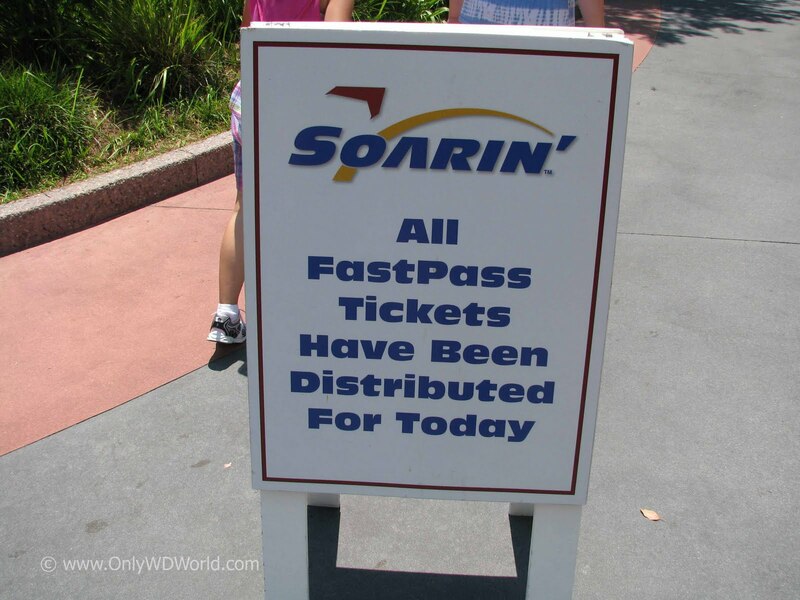 Your Epcot Touring Plan should include getting your FastPass for Soarin' as soon as you get to Epcot to make sure that you don't miss it. This is the only attraction where we have taken 3 generations of our family at the same time and everyone loved it! There isn't another attraction at Disney World that will get that same reaction. 2 comments to "Soarin' - Favorite Disney World Attraction For All Ages"
An absolutely tremendous ride, however, I think Disney is missing he boat by not making this ride a worldwide ride. As with the new Star Tours where each time you ride you get something new, I think a rotating film of the worlds great vistas would be great. Not only California, but the desert of Arizona, the Mississippi, the Alps, England and Stonehenge, the Moors of Scotland, Angel Falls in South America, there are many. While this ride is already in the Top 5, a revolving show would make it the top ride for a long time to come. I agree. One of the best rides. Great pictures of the ride. I'm always amazed at how many people run to it in morning....of course my family is one of them! I do kind of agree with the other comment....that would be awesome to have different cities to fly over. I never thought of it before and I'm sure they want to stay true to it's Calfornia origins but that would be amazing to fly over different cities.